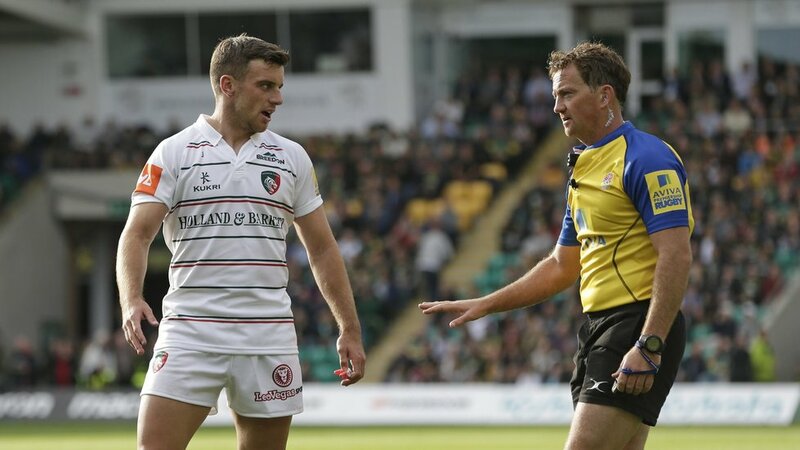 JP Doyle will referee the East Midlands derby between Leicester Tigers and Northampton Saints at Twickenham. Northampton have moved the Gallagher Premiership game to HQ in support of Rob Horne, the Saints player who was forced to retire after suffering a serious arm injury in last season’s game between the two teams at Welford Road. Match tickets are on general sale and are still available to purchase online by clicking here. Doyle will take charge of his 157th Premiership Rugby fixture. He will be assisted by Adam Leal and Roy Maybank. The television match official is Sean Davey and the citing officer is John Byett.